Adios, August! The month passed in a blur (as they always do, somehow) but was the perfect way to say goodbye to summer. I'll miss some things about it... but I'm thrilled about the return to scarves and boots! 1. Decorating Spree - Do you see those two chairs in the picture? I found those beauties for a great price, and it became the catalyst for some decorating updates around my house. My husband was totally on board for the changes, and I've loved seeing it all come together. There's more to do, but I'm off to a great start! 2. Finding Heir of Fire - Without a doubt, this was my most-anticipated book this year. I was so thrilled to get an ARC at BEA, but I was still anxiously awaiting the hardcover's release. You can imagine my excitement when I found it out a little early at the bookstore! Seriously, I can't begin to describe my love for this series. 3. Saturday in Athens - If you're from the South, you know that the beginning of fall heralds the return of college football. As a Georgia girl and UGA grad, I don't think anything compares to a Saturday in Athens between the hedges. 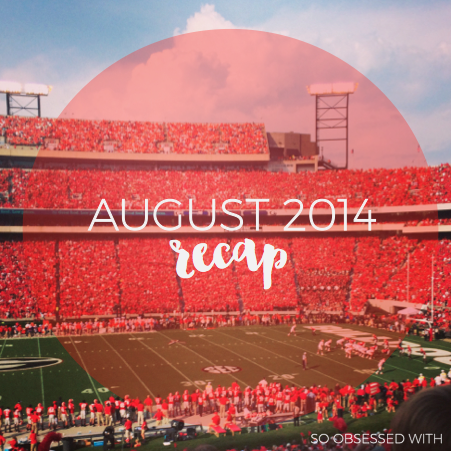 I attended the first game of the season with a friend and loved cheering on the Dawgs! 4. Costume Drama Marathon - I can never resist a good costume drama (for proof, see here). So when I had a few weekends all to myself, I spent them re-watching a giant stack of my favorite movies. The clothing, the customs, the civility... I seriously cannot get enough. There's nothing more romantic than these kinds of stories. "Phones are distracting. The internet is distracting. The way he looked at you? He wasn't distracted. He was consumed." use them against you? Before someone else can break your heart? Isn't it better to break it yourself?" 1. The Importance of the Unlikeable Heroine by Claire Legrand - Okay, this post is six months old... so maybe it shouldn't technically count. But I didn't find it until August and did bookmark after I randomly discovered it through a Twitter link so that I could read it again at home. I have so much love for this post - Claire perfectly articulates something I haven't thought much about before and now can't get out of my brain. 3. 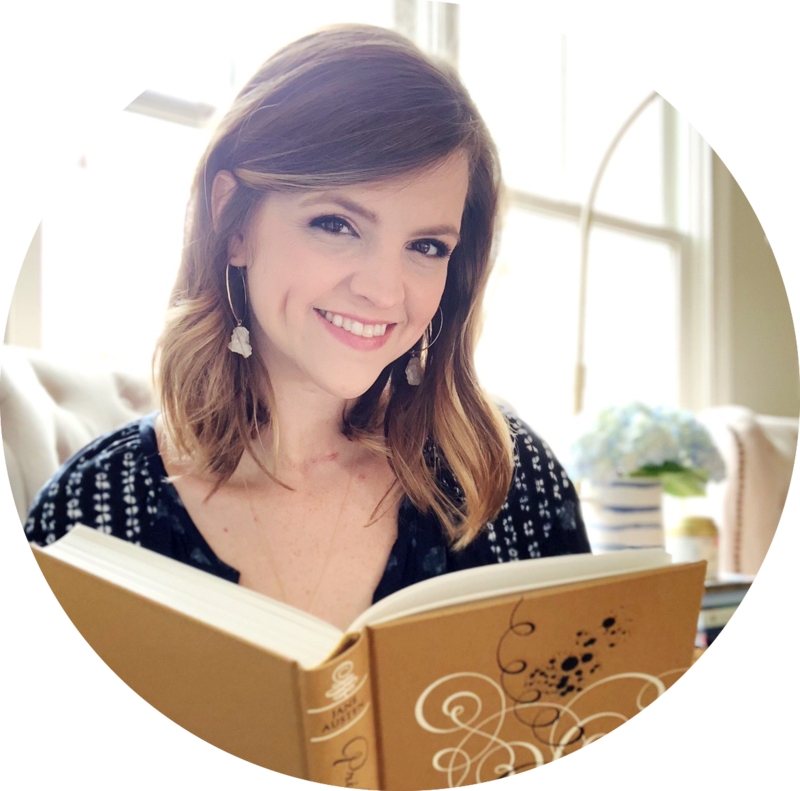 Epic Summer Read-Along by Alexa @ Alexa Loves Books & Judith @ Paper Riot - It's only fitting to include this following Alexa's discussion post on blog events! This link will take you to Alexa's wrap-up, but it includes links for both of their post. I'm incredibly behind on both visiting blogs and commenting, so these ladies probably don't even know how much I've loved this event they've hosted. All of the posts were such perfection - and so creative, too! These girls had so many awesome posts packed into their two-week event! 4. Breaking Up With Features by Asti @ Oh! The Books - This post gave me so much for thought! I also really enjoyed Asti's initial post about Trying New Features, too. I think she's on the right track - if you have an idea, just try it! Worst case scenario? You break up with it... and that's really not a big deal. I also wanted to draw hearts around this sentence: "The funny thing about ideas is that anyone can have them." I could write a whole post about my thoughts on that excellent point! For the first half of August, I could not stop listening to this song. I can't wait for a full album! I've always loved Taylor Swift (sorry not sorry), and she just keeps getting better! ADORE THIS SONG. The Mindy Project, Season Two: When The Mindy Project first aired, I watched the pilot but wasn't crazy about it. I should have trusted Mindy and given it longer to win me over! I have fallen in love with the show and binge re-watched it as soon as the second season was out on DVD. Mindy is the bomb, but I truly love the entire cast! I love to watch a good costume drama every now and then :D You read a lot of books, great job! The fairyland series is good. I've only read the first book, but such an unique writing-style. Happy reading! 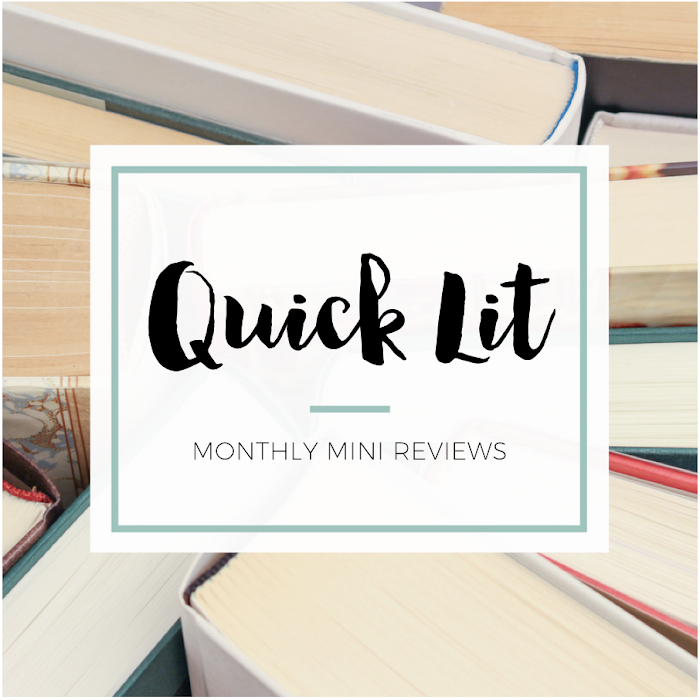 I love the idea to recap a month! I'm a Taylor Swift fan & I love Shake It Off, I listen to it at work when I need a pick-me-up. Ahem. I'm so honored you included one of my posts! Collaborating with other people + hosting blog events is definitely something I enjoy doing (and I can probably seriously name an event for nearly every month this year). One of the best parts is getting to work closely with some of my best blogger buddies! I'm definitely looking forward to the one we're starting to plan together ;) And I'm happy you enjoyed the Morgan Matson event Judith & I put together! Those chairs are beautiful Hannah :) You got so many amazing books AND read 16 books, that's awesome!! I hope you have an wonderful September!